This picture was taken in the Studebaker National Museum a couple of years ago. The Gran Turismo Hawk received a mild facelift for 1964. Changes included a revised grille with a vertical Hawk emblem in the center and a smooth truck lid with no aluminum rear panel. A new half vinyl roof was optional for 1964 only. The "Super Hawk" option which included a choice of Avanti engines engines and other performance enhancements was continued from the previous year. 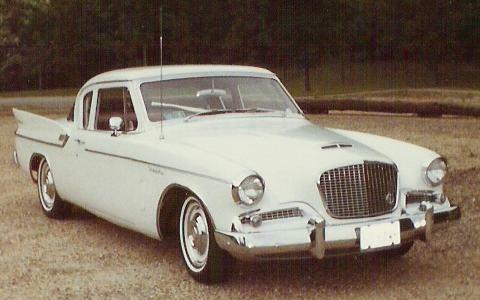 Only 1,767 Hawks were built for the 1964 model year before production ended in December 1963. 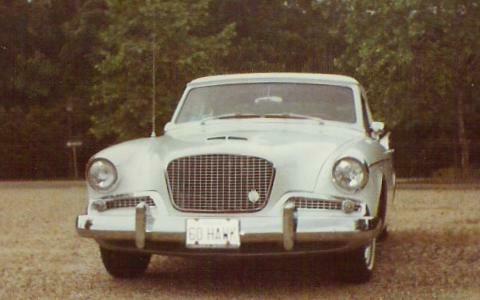 This was the final variation of the landmark 1953 Studebaker "Loewy Coupe" design. 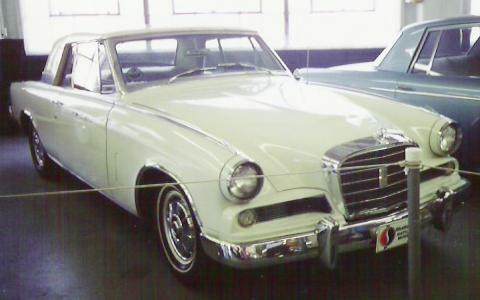 The 1960 Hawk Coupe was little changed in appearance from the 1959 Silver Hawk. However, "Silver" was dropped from the name and the 289 cubic inch V8 was made standard. From 1960 on, six cylinder engines were only available in export market Hawks. Total Hawk production for 1960 was 4,507 units so they are relatively rare birds. These pictures were taken at the Colonial Virginia meet in Yorktown several years ago. I don't know who owns this fine Hawk, but I really like the "60 HAWK" Virginia license plates. The Lark received what at first glance appeared to be a mild facelift for 1963. Additional vertical and horizontal bars were added to the grille and the roof line and trim were revised. A curved windshield replaced the wraparound windshield of the earlier models which had fallen out of vouge. An entirely new and much nicer dash with a full set of gauges completed the major changes. 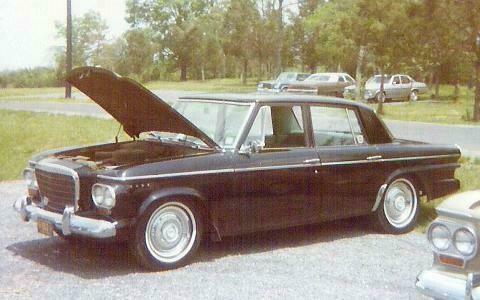 In reality, the 1963 Lark was changed more than first appeared. This did not help sales which declined significantly from the preceding year.